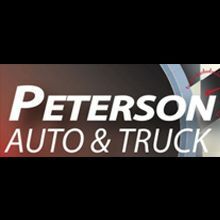 Peterson Auto & Truck - Visit Peterson Auto & Truck for all your auto repair and maintenance needs in St. Petersburg, FL. We take pride in being one of the most experienced auto repair shops in the Tampa area. At Peterson Auto & Truck in St. Petersburg, we understand that trust is earned. We would like to earn yours. We offer a variety of automotive services and repairs. All our work is performed using quality parts and equipment, and the work is done by technicians who are highly trained and certified. Serving St. Petersburg, we pride ourselves on providing our customers the best automotive repair experience possible, including excellent workmanship, service and a fair price. Give us a call, or stop by, and let us earn your business and your trust.